Explanation: That reddish dot -- it wasn't there before. It's the dot to the upper left of galaxy NGC 4993's center, do you see it? When scanning the large field of possible locations of an optical counterpart to the unprecedented gravitational wave event GW170817 in August, the appearance of this fading dot quickly became of historic importance. It pinpointed GW170817's exact location, thereby enabling humanity's major telescopes to examine the first ever electromagnetic wave counterpart to a gravitational wave event, an event giving strong evidence of being a short gamma-ray burst kilonova, the element-forming explosion that occurs after two neutron stars merge. 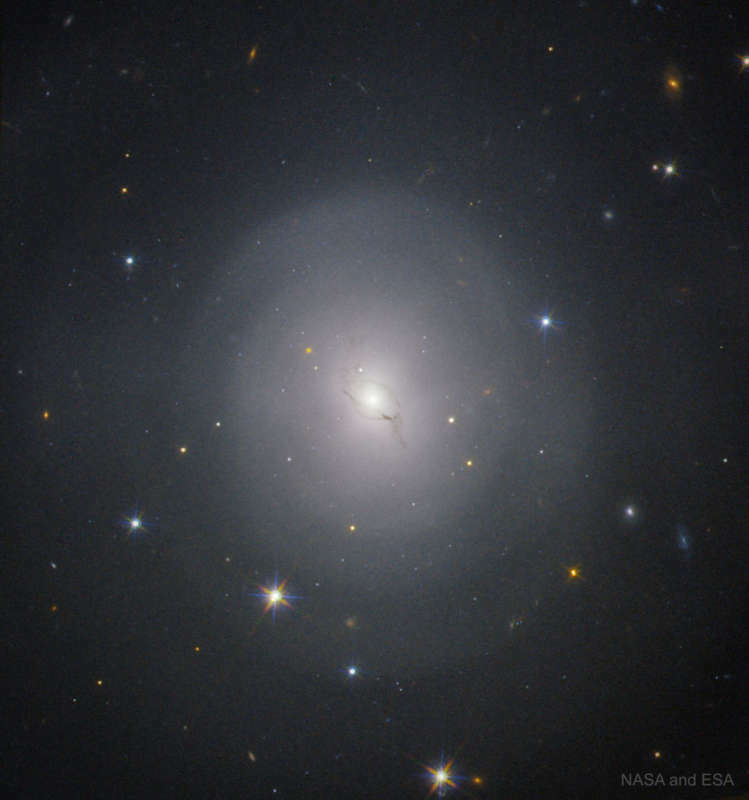 The featured image of lenticular galaxy NGC 4993 by Hubble shows the fading dot several days after it was discovered. Analyses, continuing, include the physics of the explosion, what heavy elements formed, the similarity of the speeds of gravitational radiation and light, and calibrating a new method for determining the distance scale of our universe.